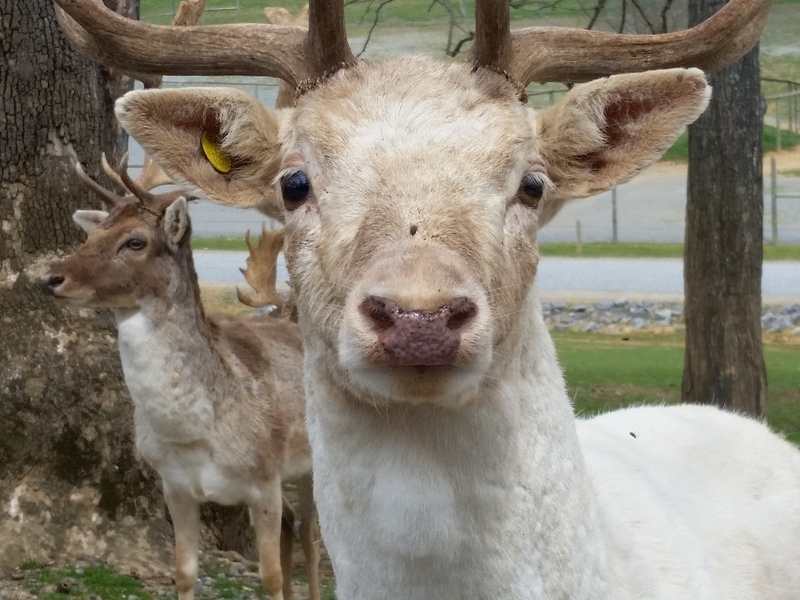 Looking to see animals up close? I mean really really up close? 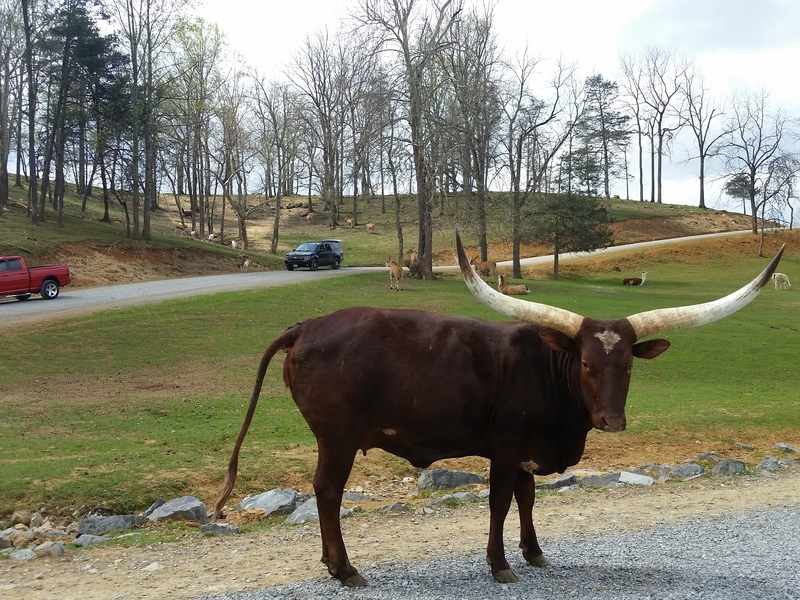 If you love animals and you love adventure, you need to visit Virginia Safari Park in Natural Bridge, Virginia. 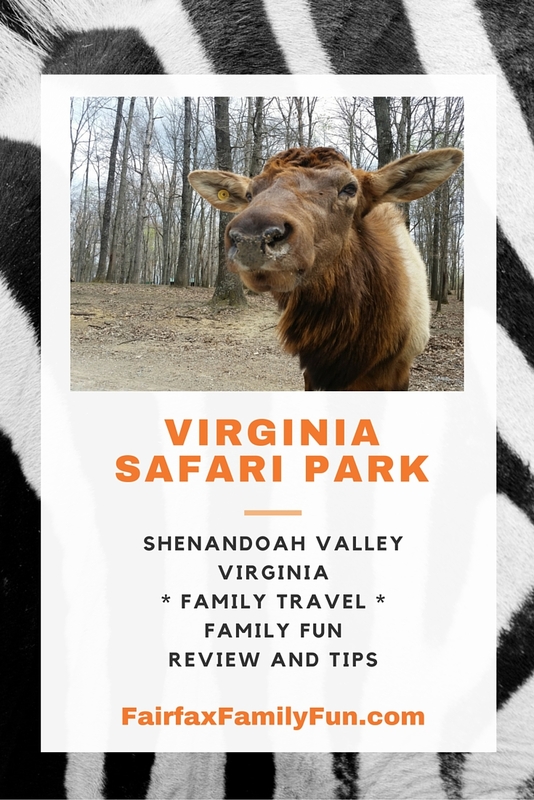 As many times as we have gone to the Shenandoah Valley, we had never been to Virginia Safari Park until just a couple of weeks ago. Within a few minutes of being there, I regretted not having gone sooner. 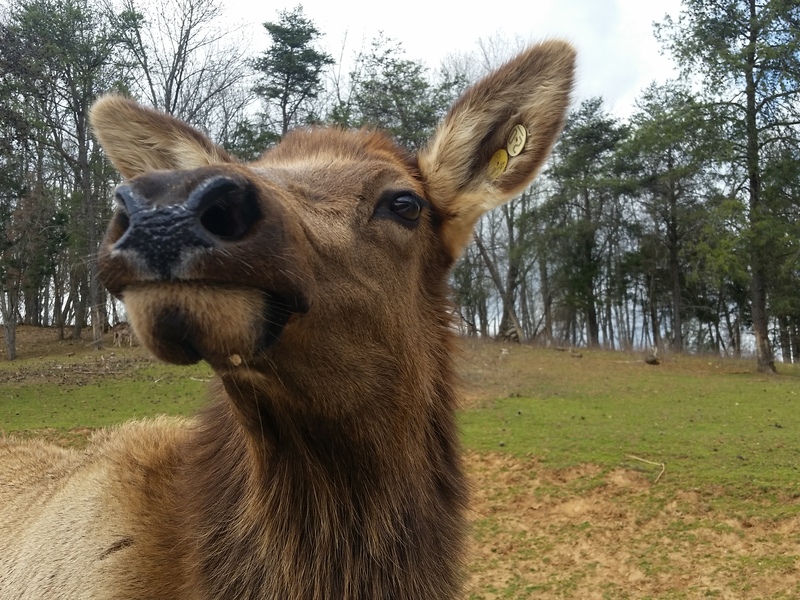 This attraction is unlike any other around here and it’s great for family fun — so much so than in 2015, FamilyFun magazine (no relation to this website) named it aTop 10 Animal Attraction in the United States, based on a survey of 2,000 parents. 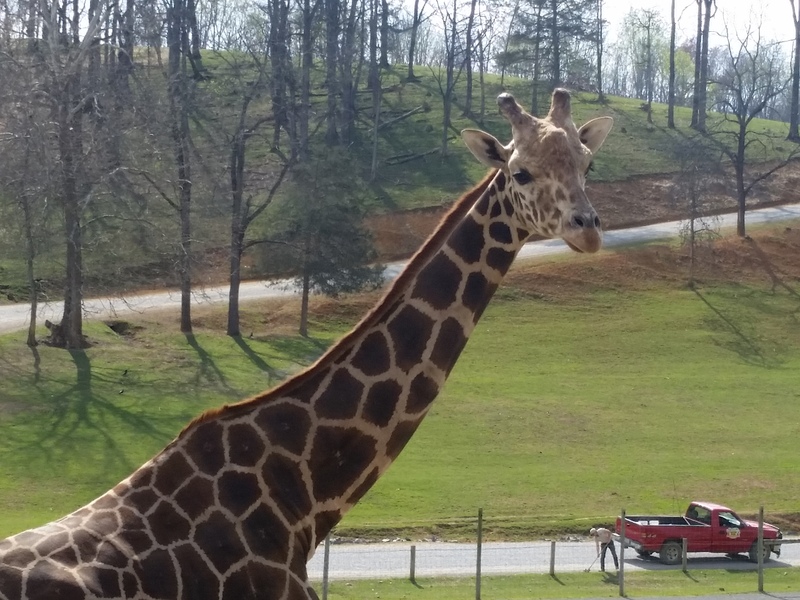 What makes Virginia Safari Park so special? 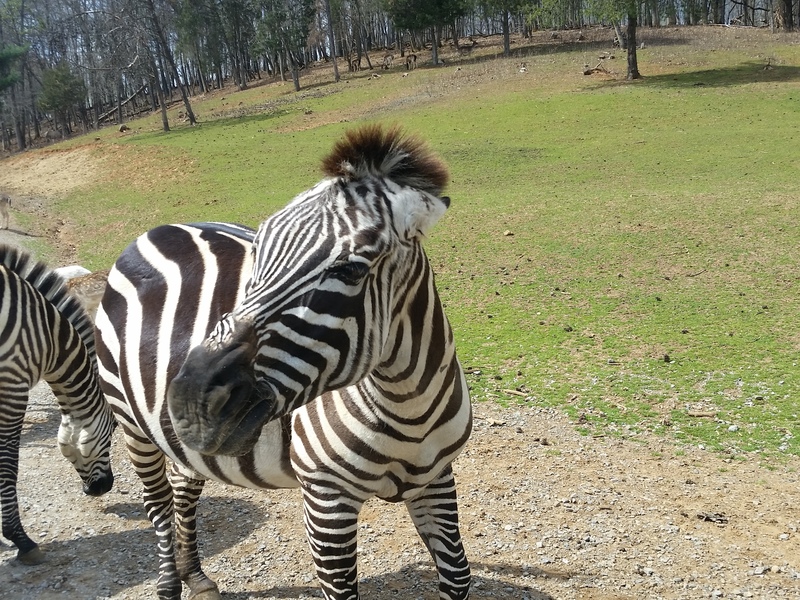 Mostly, the amazing number and variety of animals you get to see both at the drive-through safari and at the petting zoo and the ability to get incredibly up close to them and learn about them. 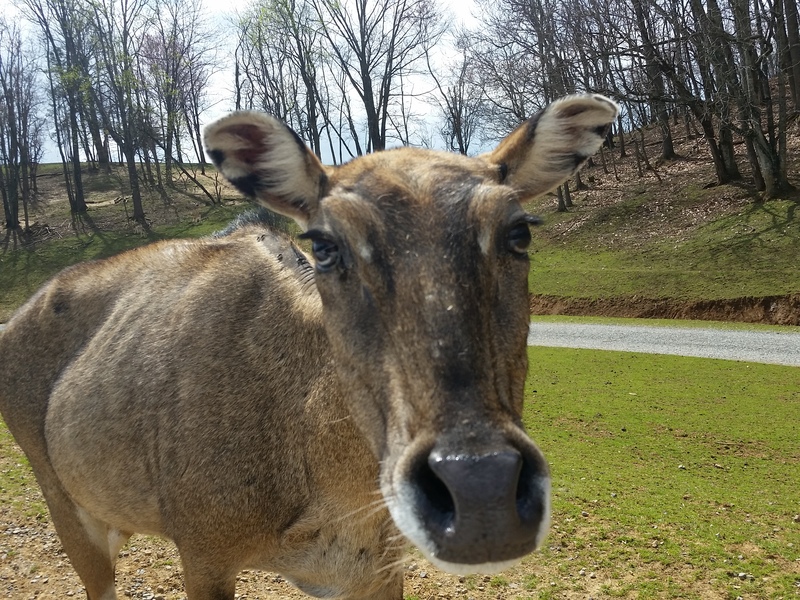 This is Virginia’s only drive-through safari adventure and one where you not only get to see the animals, but where you can drive with your windows open to feed them. 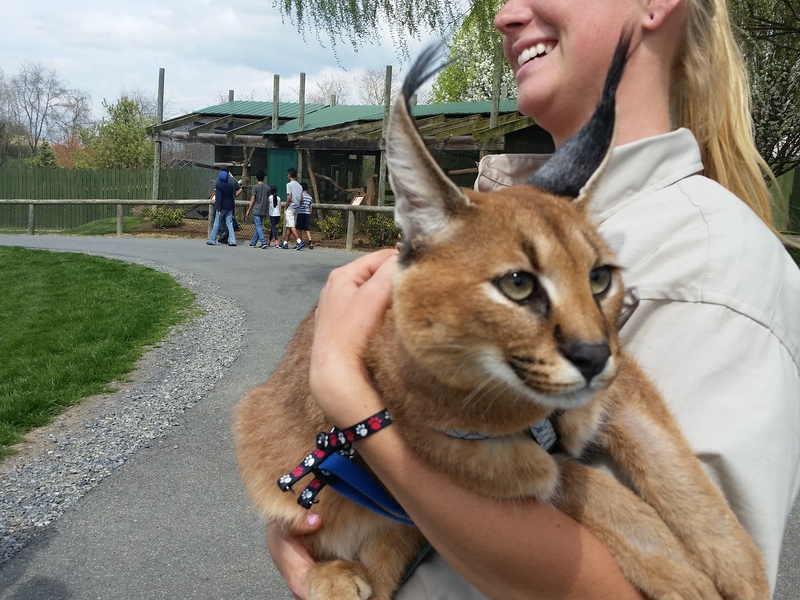 With more than 1,000 animals on 180 acres of land, you will see animals from six continents, including well-known species and others that might be new to you, as they were to us. In addition to the drive-through safari, the park has a Village Walk-Thru that includes a small zoo and a Tiger Territory. 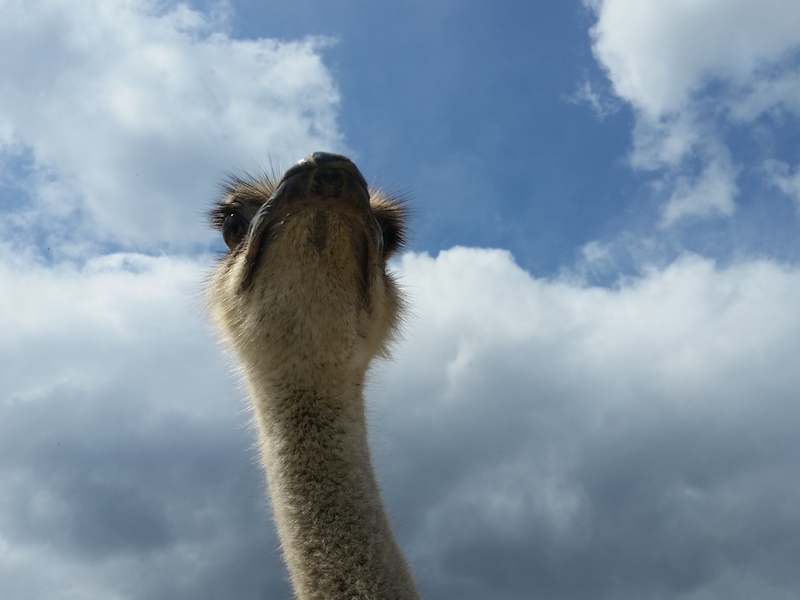 For a hands-on or up-close experience, the village also has a petting area with farmyard animals, a kangaroo “walk-about,” a budgie adventure aviary, and a giraffe feeding station. 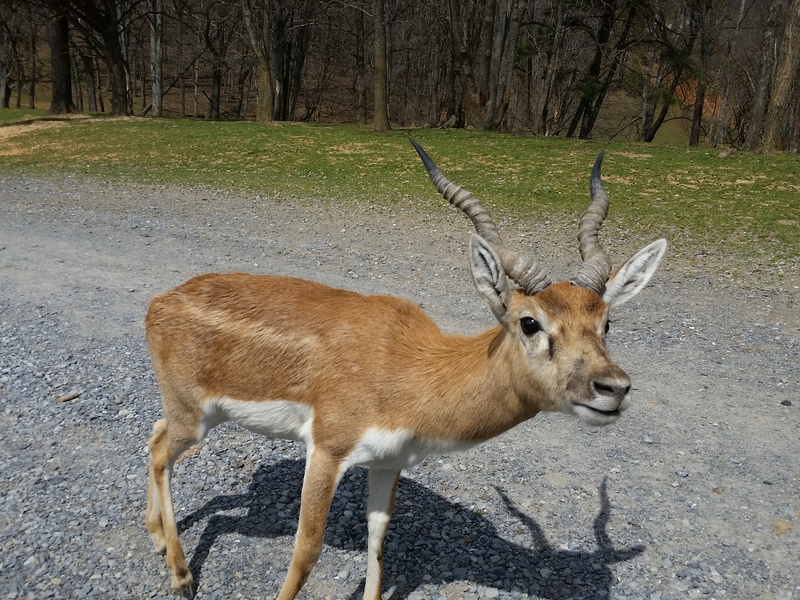 Virginia Safari Park is about two and a half hours from Northern Virginia, so you can do this as a long day trip or an easy extra activity if you’re already visiting the Shenandoah area. The park is just a few minutes from exit 180 on 1-81. Admission is $17.95 for adults and kids ages 13 and up, and $11.95 for children ages 2-12; kids up to one year old are free, and seniors (65 and over) get a one-dollar discount. These prices are per person, as there are no admissions per carload. The fees can add up for a large family, but I think they’re worth it, given all that you will see in your drive and all that you can do in the village area. You could spend hours in this place paying only slightly more than you would for a movie at the theatre. The park also has a very large pavilion near the entrance, gift shop, and bathrooms, so you can pack a picnic lunch (as we did) and save money that way. Keep your food in the trunk if you’ll do the safari drive with the windows down, as some animals can get very close to your vehicle and no outside feed is allowed. You can do the safari tour either self-guided in your own vehicle or by taking a ride in a wagon. Wagon rides are open-air vehicles with a tarp roof and cost an extra $6.95 per person and include a bucket of feed. Because wagon rides were not available during our visit (they operate more frequently in the summer, and we’d visited during spring break), we drove our own car. One advantage of taking your vehicle is that you can go at your own pace. Since the park wasn’t very crowded when we arrived, we often didn’t have a vehicle behind us for a long stretch so we got to take our time. This meant we had a lot more time to look at the animals, try to identify them, and take lots of great photos. My husband jokingly asked about any damage that the animals might cause, but this was no concern. The animals will come to you looking for food, and if you have none, they’ll simply move on. I did notice a couple of animals rubbing their faces on our rearview mirrors, but as a “cat person” who is used to seeing this sort of face-scratching, I didn’t find that strange at all. Your admission fee includes one full-color, 16-page guidebook per vehicle (you can buy additional copies for $2 each). The glossy booklet lists more than two dozen animals you may see on your drive, with many details for each, such as common and scientific names, range, diet, height and weight, and a description about their behavior. There is a photo for each animal with a check box you can use to mark off the ones you see, which makes for a nice “I Spy” game for kids. You may not be able to keep up, though: the entrance to the safari is very soon after you pass the main gate, and you won’t have to be on the lookout for animals — they will be right there! Seriously, as soon as we arrived, we were surrounded by them! 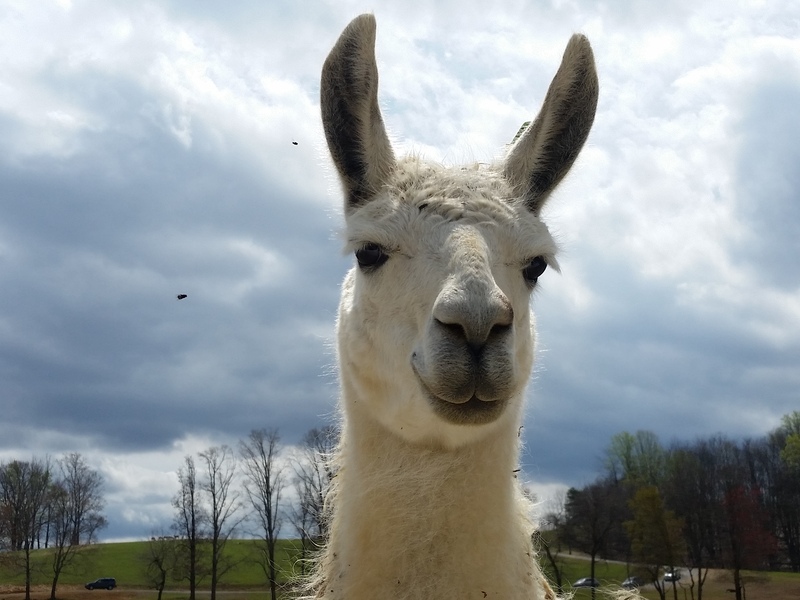 Right away we saw a llama, various types of cattle and deer, and large birds such as emus and ostriches. If you do buy feed, you might want to buy a few buckets and save some for later in the drive. We found that many animals “surrounded” us early on because other visitors were using most of their feed at the beginning. The park’s animals have free reign of the land, and though many congregate near the first section, there are many more to see and feed later on in your drive, so you will want to save some food for them. 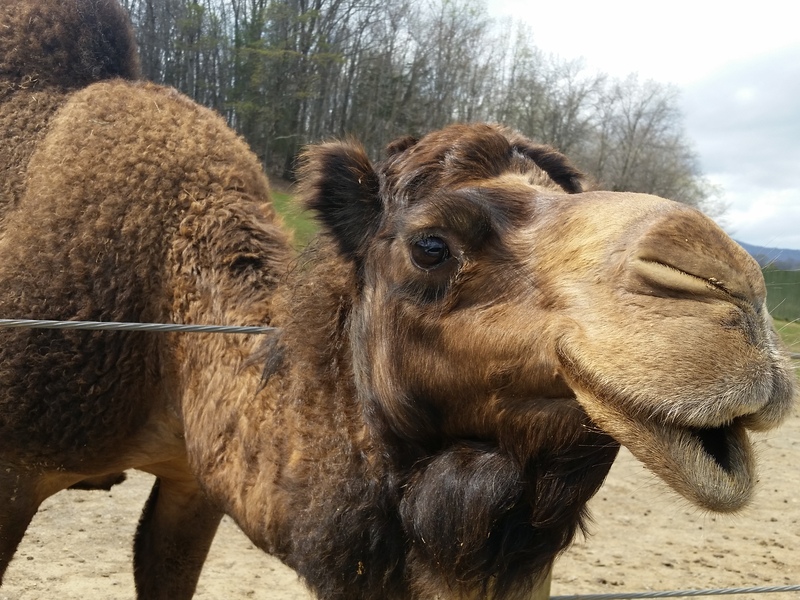 Beware the camels, though — they are known to “steal” the feed buckets! Whether you’re feeding the animals or just seeing them, you’ll never be this close to so many types of animals. Other creatures we saw were rheas, elks, many types of deer, oryx, wildebeest, camels, bison, zebras, watusis, and pigs. The only one we think we missed were the yaks. 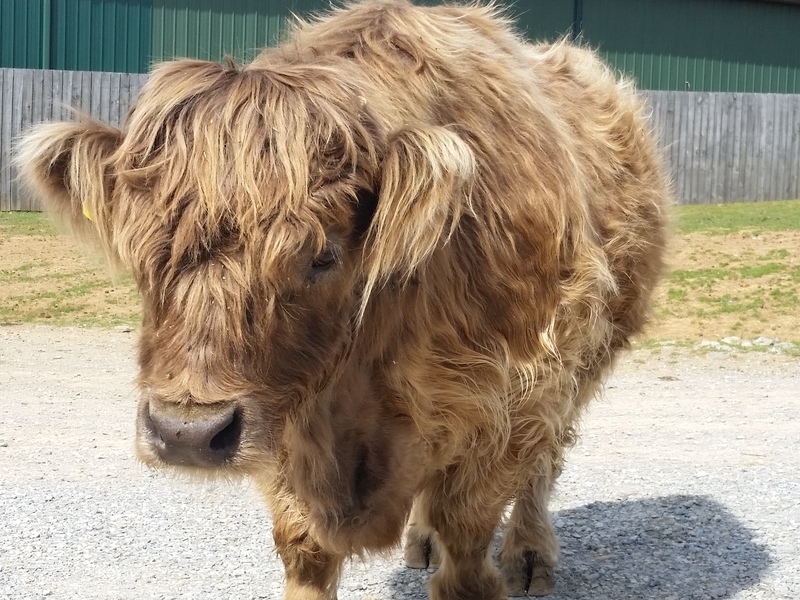 And not all the animals you’ll see are the ones that come up to you — there are many more enjoying their home on the range. We drove with the windows down the whole time (you can do this at all times; the only thing you can’t have open are doors, including minivan sliding doors), which made the experience more fun. The animals were not at all aggressive, though there were a few that were bolder, starting to stick their heads inside the car to make sure you’re not holding out on any food for them, I guess. It was overall a fantastic experience and the delighted shrieks — not only from our kid but from us — alone make this a worthwhile trip. Because we had done the safari drive first, we weren’t sure if the walk-through exhibits would leave much more to see, but we were pleasantly surprised. There was lots to do see there as well! Your walk begins with walks by animal enclosures that are home to, among others, binturong, birds, monkeys, and caracal (we were lucky to see one up close that an animal handler was carrying). 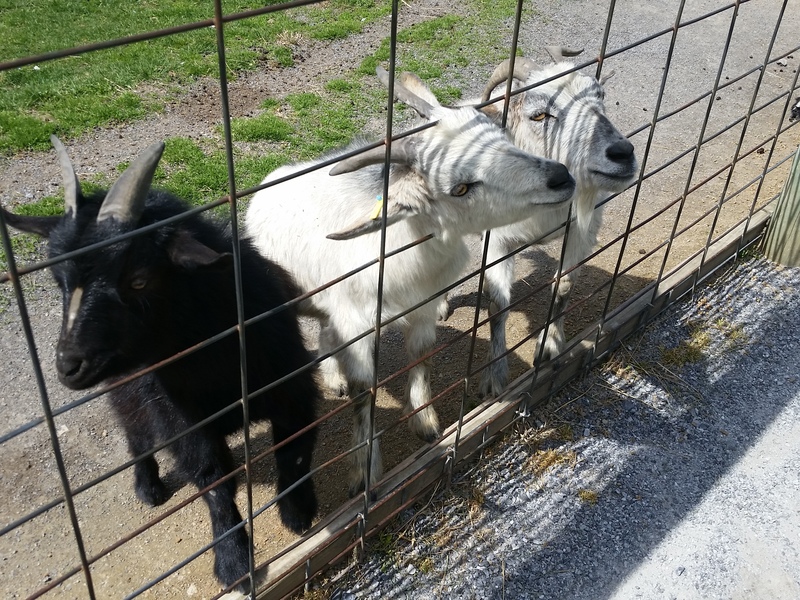 On the other side is a farmyard area and petting zoo with goats and kids, potbellied pigs and piglets, chickens, and more. There’s also a reptile house, a tortoise yard, and a kangaroo “walk-about” where you can walk alongside the ‘roos. 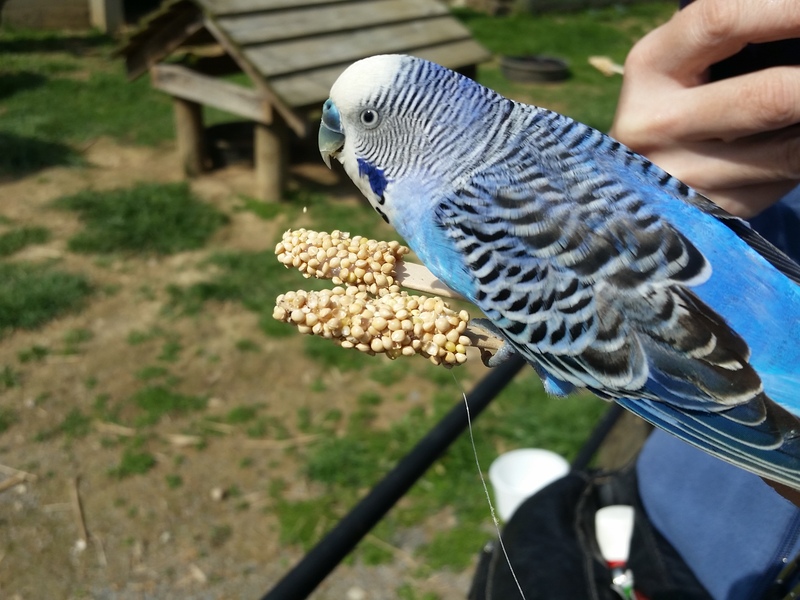 We spent most of our time in the Budgie Adventure Aviary, which is full of these incredibly colorful, sweet and gentle birds. Definitely buy a couple of budgie feed sticks covered in seeds. They are only $1 each and last for quite a while, and they will attract the birds to come rest on your hand to feed. Our son spent a lot of time surrounded by birds that came to see him, and the place is just wonderful for family photo opps. 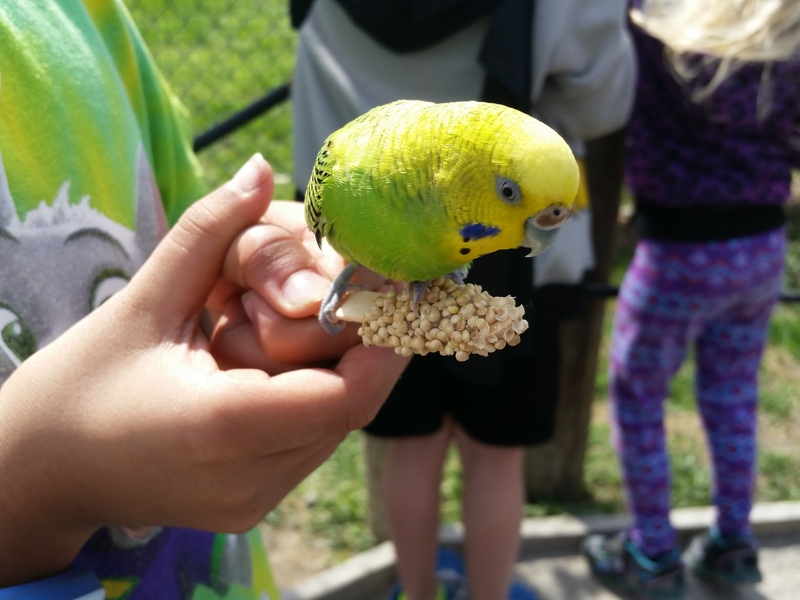 There are plenty of birds in this aviary, so you will see them up close no matter what, even if there are many people or the birds are not eating anymore. One stick, by the way, lasts for a good while, so you probably don’t need to buy more than one per person. Next, we visited the flamingoes in their own special aviary, where we saw several of them, and after that we headed to the giraffe feeding station. The giraffes seemed to be full and soon walked to the other side of their park, but we still got to see them up close. When you’re at the feeding station you’re on an elevated platform that you access easily via a sloped walk. After that, we saw the big cats — cheetahs and tigers. 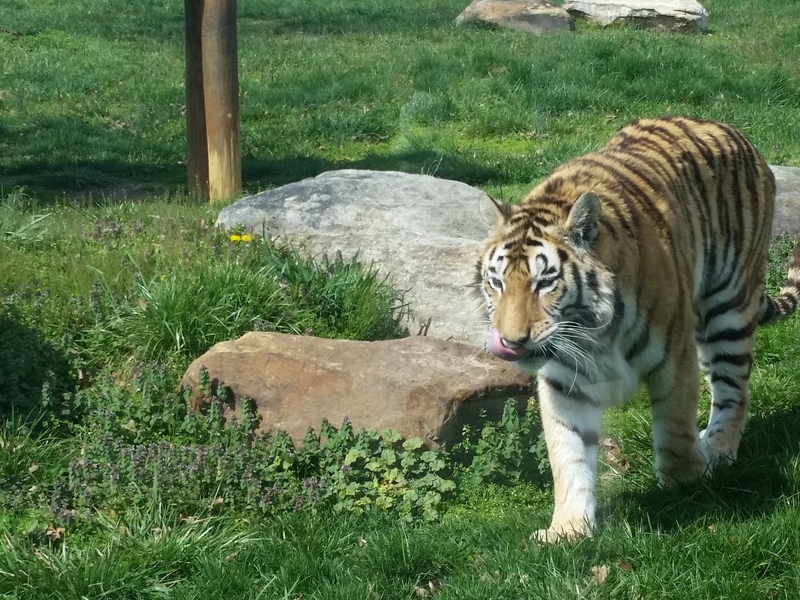 While you can see the tigers well from the fence, be sure to stop in front of the large glass panel in the center for an even better view! By then we’d seen just about all of the park, but we stopped in to visit our bird friends in the budgie area before leaving for the day. While we enjoyed our self-supplied picnic lunch, we also had the option to dine at the Watering Hole Cafe near the aviary. The cafe has indoor and outdoor seating and serves simple foods and snacks such as pizza, hot dogs, and nachos. You also can buy some snacks at the large gift shop, The Safari Trading Post, which sells souvenirs, clothing, and of course lots of stuffed animals. Restrooms are located next to the gift shop and the cafe. Make sure you go to the right place. 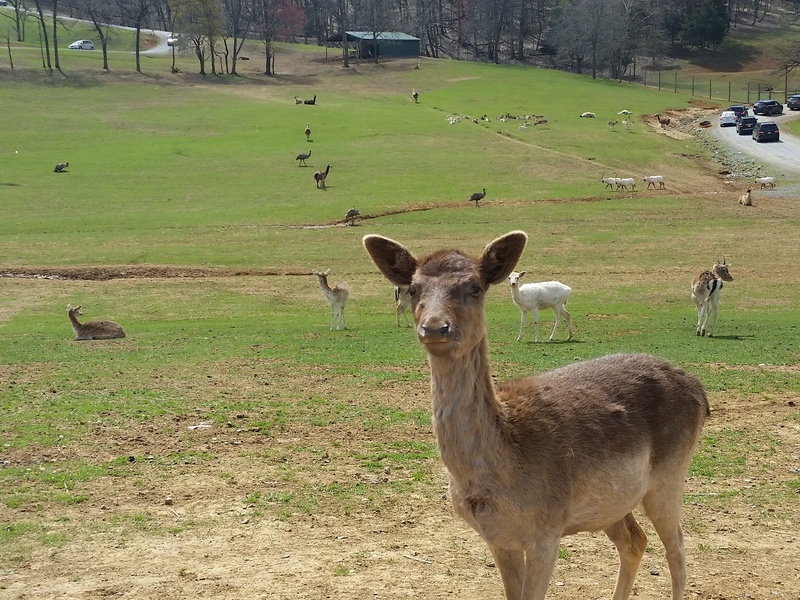 Very close to Virginia Safari Park is the Natural Bridge Zoo, which is a separate, unrelated entity. Also note that Natural Bridge is the name of the town, so the “Natural Bridge” in the safari park’s address is just the location, as it also is NOT affiliated with the Natural Bridge attraction. Give yourself plenty of time. There’s much to see here and we spent a few hours there even though the park wasn’t crowded on the day we went. Arrive early for wagon rides. If you plan on taking the wagon ride, note that there are no reservations and all the park sells all tickets first come, first served. Buy the animal feed. While animals will still come up to you even if you don’t have food, having some feed would make for a more fun experience and may help attract some more animals. Bring a camera! This is one place where you are pretty much guaranteed to get plenty of good photos and videos. Be sure all your recording devices are fully charged and have plenty of storage available! Visit nearby attractions. There are other nearby attractions so you can make your visit a nice weekend away. And though a visit to Virginia Safari Park could take up most or all of your day, you’ll still have time to visit Foamhenge, so check that out! Note: We visited this park on our own at our own expense. We provide this information as one of our many travel features, and the opinions expressed here are, as always, our own.